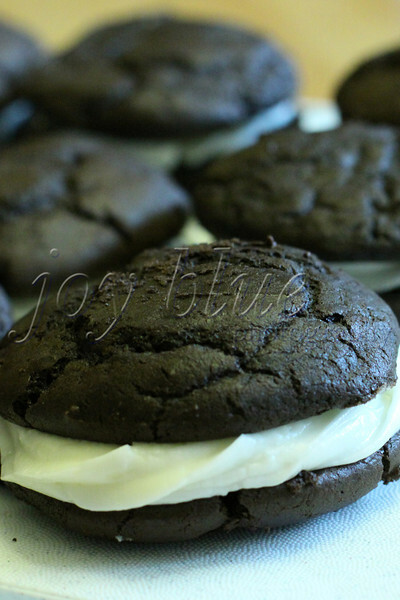 Making whoopie [pies]! Peppermint—26 April 2012 If you follow my P365, you know that I’ve been on a perfect-whoopie-pie-recipe quest. This summer has been such a rush (and so hot), that I haven’t made any. I’ve reserved time on Sunday’s calendar to bake (hopefully wp’s and pineapple upside-down cupcakes) for NOS and his roommate.